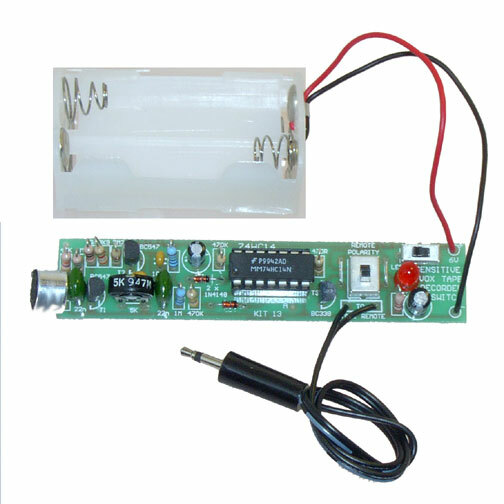 Sound Activated Tape Recorder Switch Kit – CK0213. Soldering required. 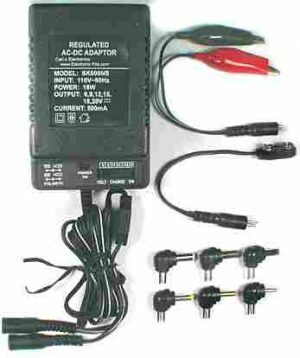 This circuit can be adjusted to turn on your tape recorder via its REMOTE plug. 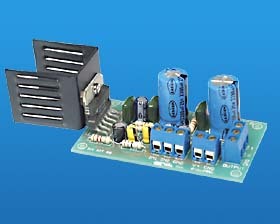 Has feed back and delay circuit for robust operation. 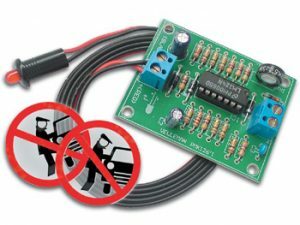 Very sensitive and proven circuit. 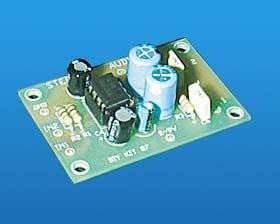 This circuit can be adjusted to turn on your tape recorder via its REMOTE plug. 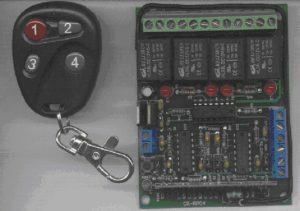 Has feed back and delay circuit for robust operation. 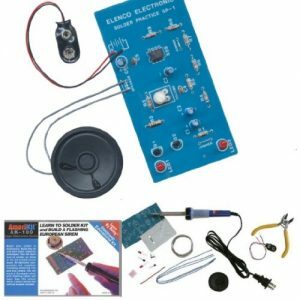 Very sensitive and proven circuit – DIY Kit 13. L: 3-5/8″ W: 3/4″ H: 1/2″.